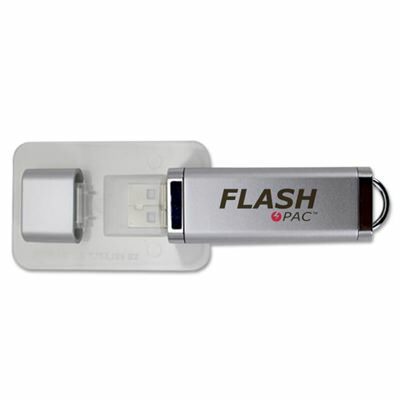 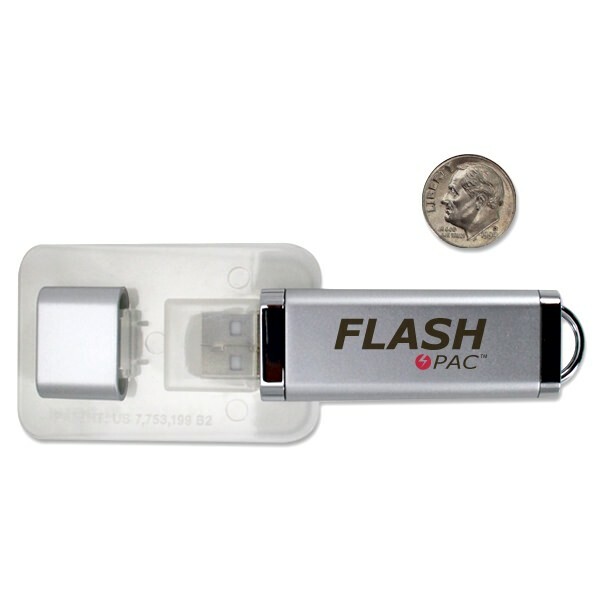 Store flash drives anywhere and place them on almost anything with Flash Pac® Adhesive USB Docks! 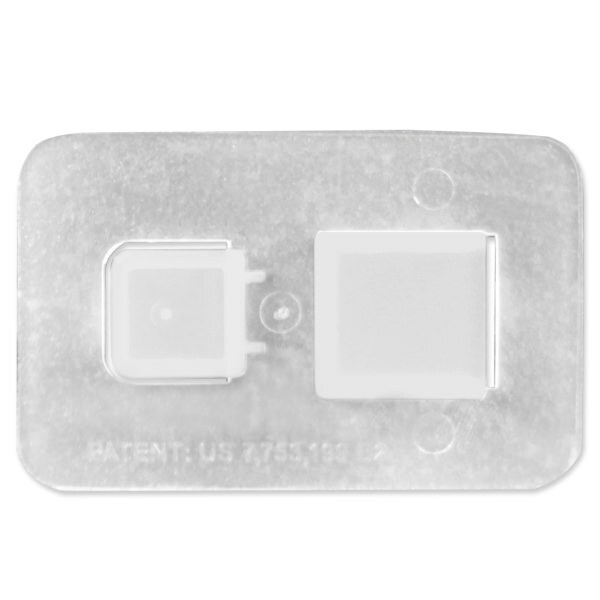 The clear plastic dock holds your drive by the connector and also features a place to hold your matching cap. 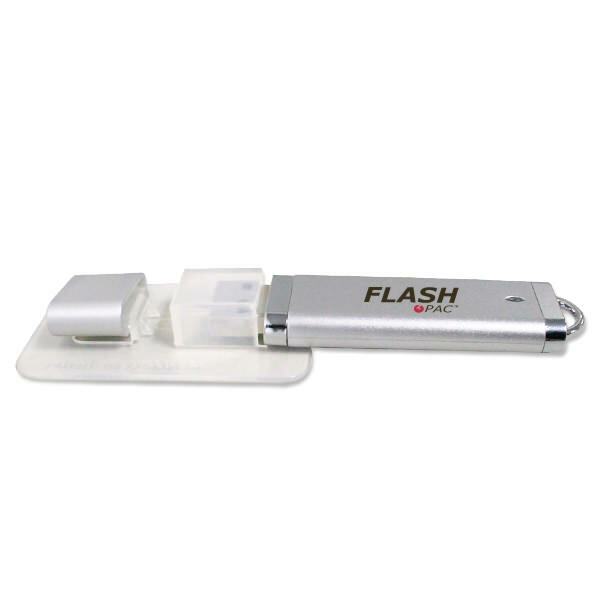 An innovative way to carry and store flash drives! 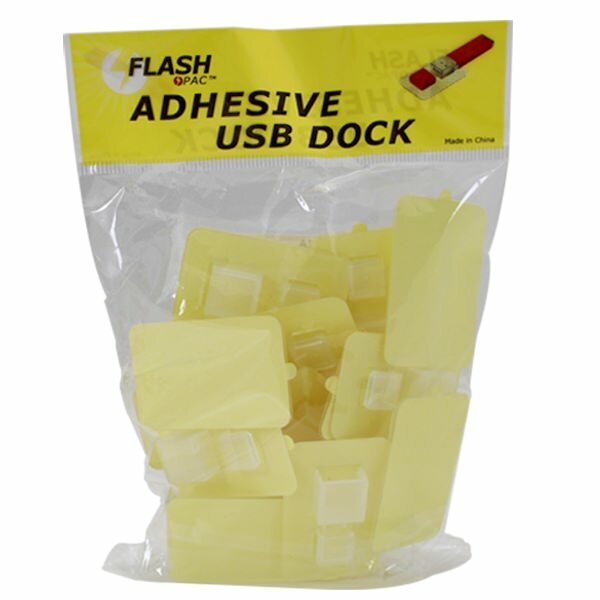 These USB docks feature an adhesive backing so that you can stick them wherever is most convenient for your needs. Whether you stick them inside a desk drawer so you can always find your USB or you attach them with your flash drive to brochures to enhance marketing materials, you’ve got a versatile solution.